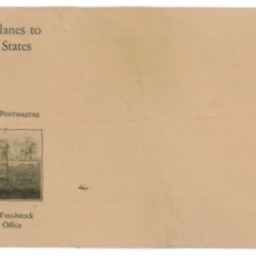 Photograph taken by William Hoyle Garber showing a crop dusting plan that an afficed note indicated was flown by a pilot named Taylor from New York State. 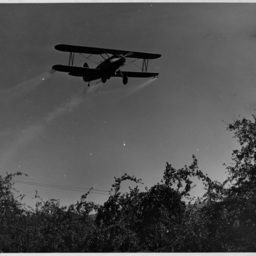 It is most likely the same plane as in image hg0286. 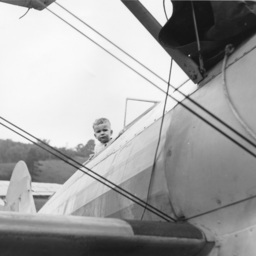 Photograph taken by William Hoyle Garber showing an unidentified child in a plane. It appears to be a crop duster plane that an attached note indeicated was flown by a piloit with the last name of Taylor from New York State. In October of 1913 Frank J. Terrill brought his Curtis Biplane to the Shenandoah County Fairgrounds as part of the fair’s festivities.